The egg has a round or oval shape, consisting of the yolk, surrounded by layers of membranes and an outer casing that supports and protects the developing embryo and its nutrient reserves. Most eggs, including those of birds and turtles consist of a protective, oval eggshell, albumen (egg white), egg yolk, and various thin membranes. Caviar is also a type of eggs, but from fish. The most popular edible eggs are those from hens. Duck and goose eggs, quail eggs, and those of an ostrich are considered a delicacy. 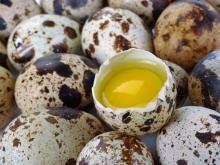 Gull eggs are considered a delicacy in England, as well as in some Scandinavian countries, especially Norway. In some African countries, guinea fowl eggs are often found on the market. Pheasant and emu eggs are also completely edible, but are not widely available. Avian eggs are a valuable food product in the societies from prehistory - hunting cultures and the times when birds were already domesticated. In Egypt, the tomb of Haremhab, built around 1420 BC. shows an image of a man carrying ostrich eggs and other large eggs, presumably from a pelican. In ancient Rome, eggs were preserved using different methods and eating often started first with dishes that include eggs. Romans crushed the shells of the eggs in a bowl to remove the evil spirits that lurk in them. In the Middle Ages, eggs were forbidden during Lent. The egg industry for dried eggs was developed in the 19th century, before the rise of frozen eggs. 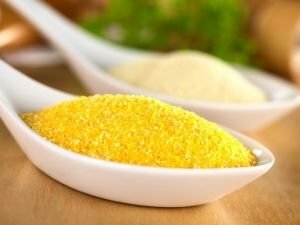 In 1878, a company in St. Louis, Missouri started to transform egg yolk and egg white into a light brown flour by drying. The production of dried eggs significantly expanded during World War II for use by the U.S. military and its allies. Eggs can be cooked marinated, boiled, soft-boiled, scrambled, fried and frozen. They can also be eaten raw, but this is not recommended for people who may be especially susceptible to salmonella, such as the elderly or pregnant women. 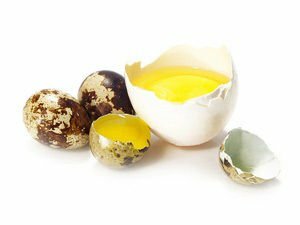 In raw eggs, the bio-available protein is only 51%, while boiled eggs are nearly 91% bio-available, meaning the protein in cooked eggs is almost two times more absorbable than that in the white of raw eggs. Egg yolks are an important emulsifier in the kitchen, and the proteins in egg whites foam may form. 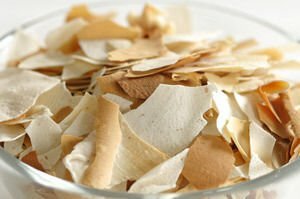 Crushed egg shells are sometimes used as a food additive to deliver calcium. very large - more than 73 grams, large 63-73 grams, medium- 53-63 grams and small - under 53 grams. Eggs are a very good source of protein and various other nutrients. Just one egg contains 6 grams of high quality protein and all 9 essential amino acids. Chicken eggs are the most commonly consumed eggs. 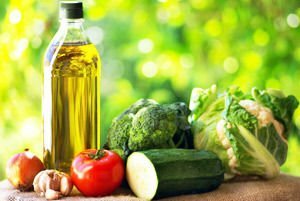 They provide all essential amino acids for humans and provide several vitamins and minerals, including vitamin A, riboflavin, folic acid, vitamin B6, vitamin B12, choline, iron, calcium, phosphorus, and potassium. The quantity of vitamin A, D and E in the egg yolk. Egg is one of the few foods that contain vitamin D. A large egg yolk contains about 60 calories and an egg white contains about 15 calories. A large yolk contains more than two-thirds of the recommended daily dose of 300 mg of cholesterol. Eggs are a good source of carotenoids lutein and zeaxanthin that are yellow/orange in color. Fresh eggs are those that are at most 7 days old. There are some tricks to establish the quality of the egg and whether it is old or fresh. One is to put the eggs in a pan with salt water (120g salt to 1 liter of water). If they are is fresh, they will lie on the bottom horizontally. Older eggs start to climb up. If the egg actually floats, it is better to throw it away and not eat it. Usually, eggs that are older than 30 days, float on the water surface with the blunt part up. When arranging the eggs for storage, do not wash them before because their shell is permeable. Arrange them with the sharp side down, allowing their air bubbles to stay on top. You can wipe them gently with a cloth if they have debris. Keeping eggs for consumption is extremely important, because improperly handled eggs can contain salmonella - bacteria that can cause severe food poisoning. The simplest way to preserve an egg is to treat it with salt. Salt water releases bacteria and fungi, preventing their development. 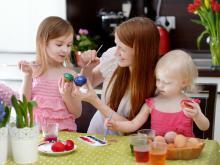 If there is a broken egg, you can save it in the fridge two days, and hard-boiled shell eggs last for four days. Shelled eggs can keep cool for most 24 hours. If you make meringues and you have only yolks, you can cover them with cold water and keep them in the refrigerator for several days. The use of eggs in cooking is broad and extends to endless boundaries. Although not widely, vegetarians do use eggs, these products are the basis of many culinary masterpieces. Their application in confectionery starts with various cakes, pastries, fabrics cakes, cream and all sorts of different small cakes, biscuits and meringues, the last of which are made with egg whites. 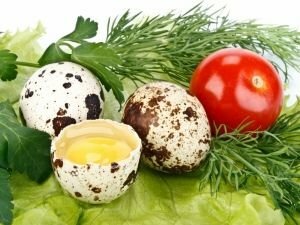 Eggs are an integral part of many French sauces, tartar sauce and various appetizers, such as stuffed eggs. 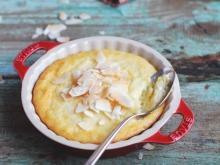 Soups and casseroles, different salads and moussacas are unthinkable without eggs. These derivatives are common addition to salads, etc. We'll publish some technical culinary tricks for when you need to cook with eggs. Whites can be separated easily from the shell if you drill a small hole or just break the eggs into a funnel - thus the whites will come out and the yolk remains in the funnel. Each egg should be broken into a separate container and then added to the others, make sure that it will not prevent deterioration of other fresh eggs. 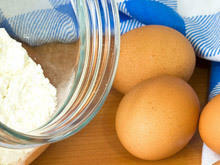 When cooking sauces, creams and dips eggs, always use fresh eggs. When beating whites, they should be well chilled. 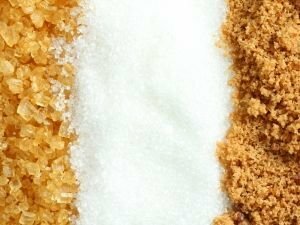 You may add a pinch of salt and start adding sugar only when the whites are white and slightly puffed. The choline contained in eggs is an important nutrient for brain development and is important for pregnant and nursing women to ensure healthy development of the baby’s brain. 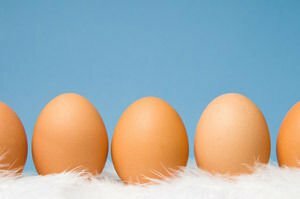 Recently, there are chicken eggs that are especially high in omega 3 fatty acids. These eggs are produced by hens fed with a diet containing polyunsaturated fats and kelp. Eggs are an easily digestible food for the body and are essential for the construction and renovation of cells. Egg protein contains essential amino acids for optimal balance. 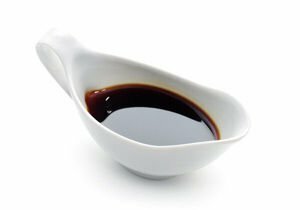 Fats ni the whites are mainly polyunsaturated and therefore harmless. An old culinary legend says that raw eggs are more nutritious and beneficial. The issue is highly controversial, especially knowing that the egg nutrients are sufficiently resistant to high temperatures and remain so after various cooking processes. Eating just one egg a day may prevent macular degeneration due to the carotenoid content of hen derivatives. 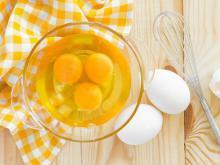 Regular consumption of eggs reduces the risk of risk of developing cataracts. 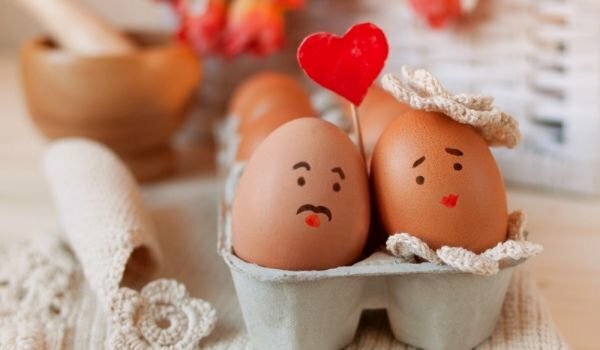 There is scientific evidence that regular meals of moderate amounts of eggs may prevent blood clots and the occurrence of stroke and heart attack. Because vitamin D and their high levels of sulfur, eggs are good for maintaining bone density and the appearance of skin and hair. 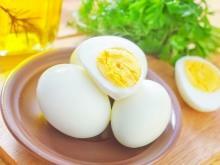 Regular consumption of eggs can make your hair grow significantly faster and look better. There is evidence that eggs can act proactively in cases of breast cancer. However, they can be dangerous, especially if you love to overdo their consumption. For people who are prone to atherosclerosis, it is not advisable to eat more than one egg a week. The increased consumption of these chicken products can lead to an increased risk of diabetes type 2. 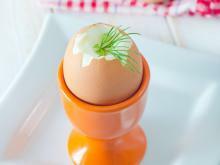 One of the most common food allergies in babies is that to eggs. 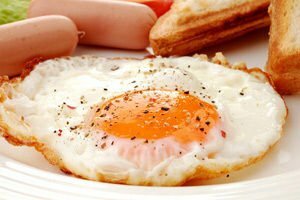 Allergic reactions to egg proteins are more common than those to yolks. Utilize caution with the consumption of raw eggs, because if your intake is too high, it can lead you to a medical condition known as biotine vitamin deficiency. Raw whites can lead to different manifestations of allergy, urticaria and eczema. Of course, food poisoning with raw eggs and can cause food poisoning, affecting about goose eggs. That they contain more fat and are often carriers of the salmonella infection. With chicken eggs, there are also rare cases of this infectious condition.